The wine aisles of Trader Joe’s is one of my favorite places to visit when I travel. Where I live, in Connecticut, Trader Joe’s stores are only allowed to sell beer. Trader Joe’s stores are known for their great selection and great prices, and that is true for everything Trader Joe’s sells – including the wine. Thus any Trader Joe’s store which sells wine is an opportunity to visit a toy store for adults, which I definitely can’t miss. This time around I ventured into the Trader Joe’s in Costa Mesa in California. Usually, the “wine” selection in Trader Joe’s in California goes way beyond just wine – scotch, bourbon, tequila, cognac, and more. At the store in Costa Mesa I was particularly impressed with Mezcal selection – would love to bring some home, but you know how business travel is nowadays – does the bottle worth a trouble of checking in the luggage? So yes, wine it is. When buying wine at Trader Joe’s during my business trips, I always approach it in a simple way – I’m looking for value. Here is $20, let’s get as many bottles as possible with the $20, and let’s see how they will fare. Truth be told, I rarely manage to stay under $20, but still, I make an effort to be as close as possible to that $20 budget (before taxes, of course). How does $23.45 sound next to the $20 budget? In absolute terms – I’m over the budget by 17%. In relative terms, 5 bottles of wine for $23.45? If the wine even half drinkable, it is not a bad deal, would you agree? I think so. Oh yes, and I also cheated a bit. Don’t worry, I didn’t cheat anyone in particular, it is this story which has a few flaws, so please allow me to explain. First, I saw an attractive bottle, unusual shape, attractive label, $9.99, the wine called “Susumaniello” from Puglia – something I never saw before. I was planning to visit my close friends later that day, so I thought that this bottle looked good enough to bring with me (wanna call me a cheap bustard? please, be my guest). But -Trader Joe’s was having a little tasting (they always do for food – I guess they also do it for wine where the wine is sold – for sure in California) – and this exact bottle of wine was offered for tasting. So I did have a sip of 2016 Ruggero di Bardo Susumaniello Puglia IGP ($9.99) – it had a medium body, restrained profile with mostly cherry notes on the palate. To my delight, it appeared that behind the cool label was also a new rare, indigenous grape I never had before – Susumaniello, a nice addition to the collection (I really need to iupdate my “grape counter” on the page). The wine was good, but I already tasted it, so I needed a different idea for the wine to bring to dinner, so I settled for 2012 Château Roudier Montague-Saint-Emilion (13% ABV, $12.99), which happened to be a classic Bordeaux – well, maybe not so classic but more of modern variation – warm fruit and spices on the nose, black currant on the palate, soft tannins, round, velvety – an excellent Bordeaux for the price. It also paired very well with Korean short ribs (Bulgogi) we had for dinner. Drinkability: 7+/8-, very good overall. From here on, here are my tasting notes for the five wines I was able to play with over the next few days – these are the wines I paid $23.45 for. 2016 Joseph Händler Riesling Pfalz (9.5% ABV, $4.99) – straw pale color. Nose at first muted, literally nonexistent, then opening up into white flowers, touch of honey and candied peach. Clean acidity, lemon, candied lemon, crisp, good minerality, not over the top. Drinkability: 8-, and incredible value at $4.99. Just wow. I know Rieslings can be inexpensive, but this is a whole lot of German Riesling for the price. Simpler Wines Too Uncanny Red Wine Blend Australia (13.8% ABV, $2.99/375 ml can) – this wine had no vintage indication, so I guess we should consider it to be a non-vintage. Dark ruby color. 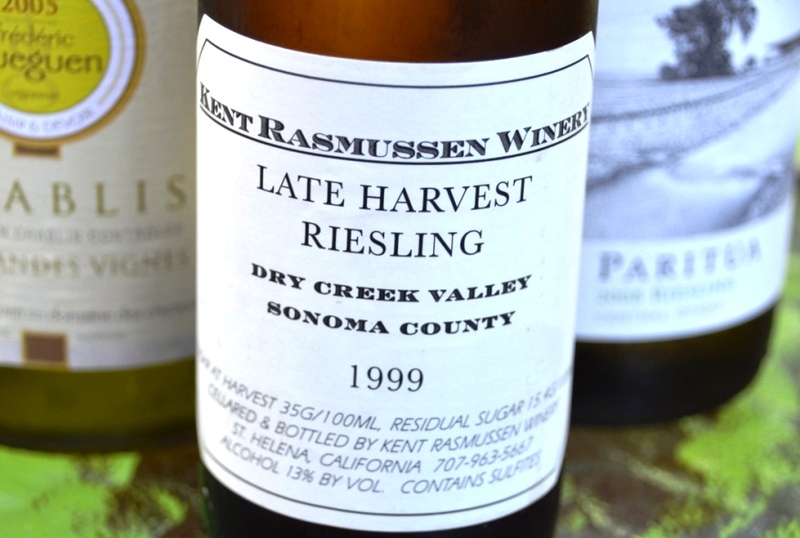 Fresh fruity nose, young berries, then herbaceous undertones show up. Very good acidity on the palate, blackberries, cherries, mint, surprisingly balanced and very easy to drink. A bit of an alcohol burn, but still wow. 7+/8-, yet another excellent value. Nicely drinkable on the second day from the open can. 2016 Union Wine Co Underwood Pinot Noir Oregon (13% ABV, $4.99) – as you can see in the picture, the only place where I found a year specified was on the bottom of the can. Is that really vintage indication? I have no idea, but I will consider it to be so. Ruby color. Mushrooms and smoke on the nose, touch of cherries. Sweet cherries on the palate, nice minerality, good acidity, medium body, good balance, touch of tart raspberries, hint of black pepper. Very nice overall. Drinkability: 8-, impressive. 2016 Nero Marone Edizione Privata Italy (14% ABV, $6.99) dark ruby color. Restrained nose, herbal, not much fruit. A hint of raspberries, tart cherries on the palate, minerality, medium body, good acidity. Interesting, not bad but a bit underwhelming in the amount of fruit. Drinkability: 7+, might be more of a food wine. 2017 Viñas Chileans Rosario Estate Cabernet Sauvignon Reserva Valle Central Chile (13% ABV, $3.49) – a classic Chilean cab, a touch of green bell pepper, soft blueberries and blackberries, medium body, easy to drink from the get-go. Nicely paired with grilled snapper. Drinkability: 7+, truly lots of wine for the money. Here you are, my friends – another successful encounter with the Trader Joe’s wines. The Riesling was my favorite, but really, all the wines were good and an amazing value. What are your latest value wines discoveries? Can you beat the Pfalz Riesling at $4.99? Cheers! There is nothing obscure about Riesling. Unquestionably one of the “big three” white grapes (Chardonnay, Sauvignon Blanc and Riesling). 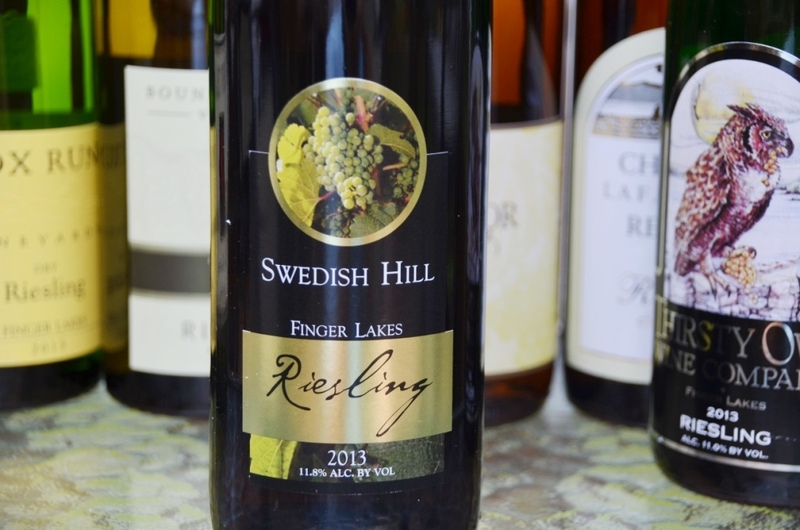 Celebrated through various social media events – “The Summer of Riesling”, “Riesling Month”. An established, de-facto pairing for the Asian or any spicy cuisine for that matter. “Fastest growing white wine in America”. And nevertheless, one of the most unknown, under-appreciated and misunderstood wines, if you ask me. So how do these two realities of “one of the fastest growing” and “last row seat” co-exist? I think perception has a lot to do with this. 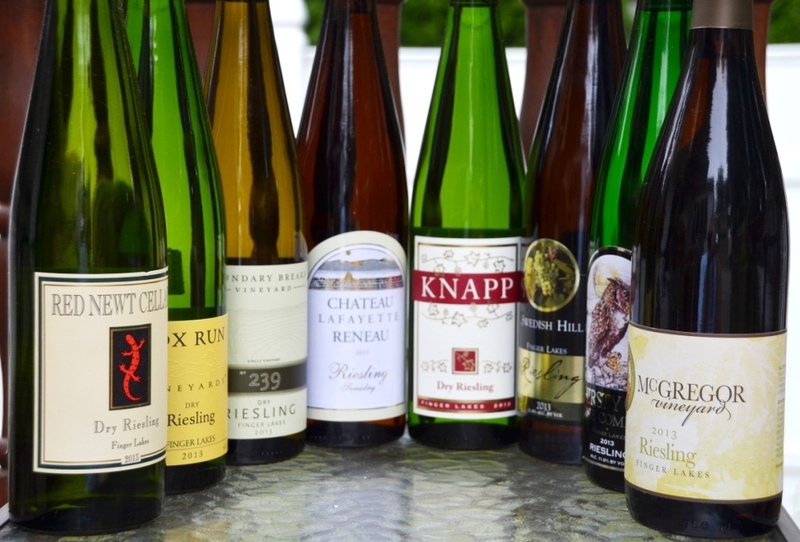 Since Riesling can be sweet, and often it is praised for its sweetness, consumers are stuck in the notion Riesling = Sweet. 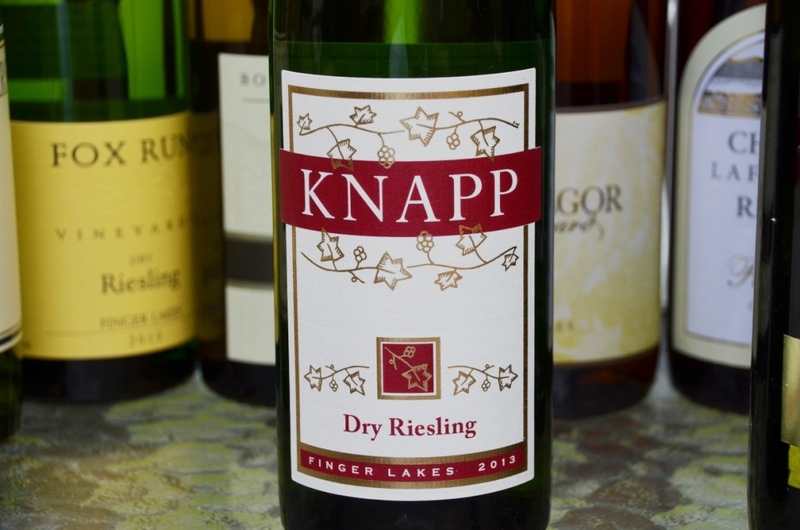 Take a look at the Wine Spectator ratings – highest rated Kabinett Riesling (typically showing only a hint of sweetness) got 93 points; and then 8 (eight!) Rieslings got 100 points (the absolute top) rating – by the way, it is 8 of only 75 wines which got 100 points from Wine Spectator – and all 8 are Trockenbeerenauslese, the highest sweetness designation. Thus for lots and lots of wine drinkers, Riesling is a dessert wine, and while we love dessert wines a lot more than we are willing to admit, the dessert wine designation means “only for the special moments”. Can this perception be changed? Of course. How? By educating people. This was one of the reasons for the International Riesling Foundation (IRF) to be created in 2007. The idea behind foundation was exactly this – to make people aware of what Riesling has to offer, and to help people better understand Riesling wines. 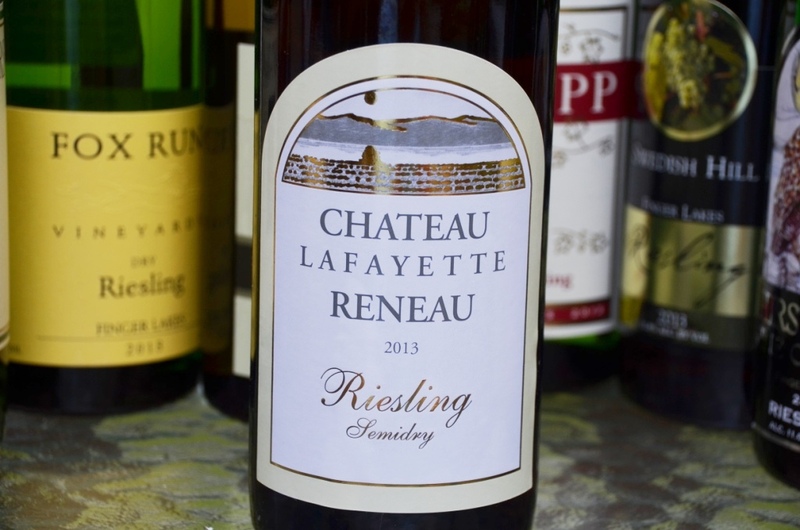 One of the outcomes of the IRF efforts became the Riesling Taste Profile. According the the specification of that profile, four taste categories are defined – Dry, Medium Dry, Medium Sweet and Sweet. Based on the given set of parameters (sugar, acid and pH), the IRF developed a technical chart which allows winery to estimate how the consumers will likely perceive the wine across the 4 defined taste categories. After that, the winery can print that taste profile on the label (you can see an example at the very beginning of this post) – and then the consumer can quickly set the expectations just by glancing at the label. Well, it is good to have an informative label, but when it comes to the wine world, seeing doesn’t really equates to believing. But tasting does. This is where the #winechat comes to the rescue. 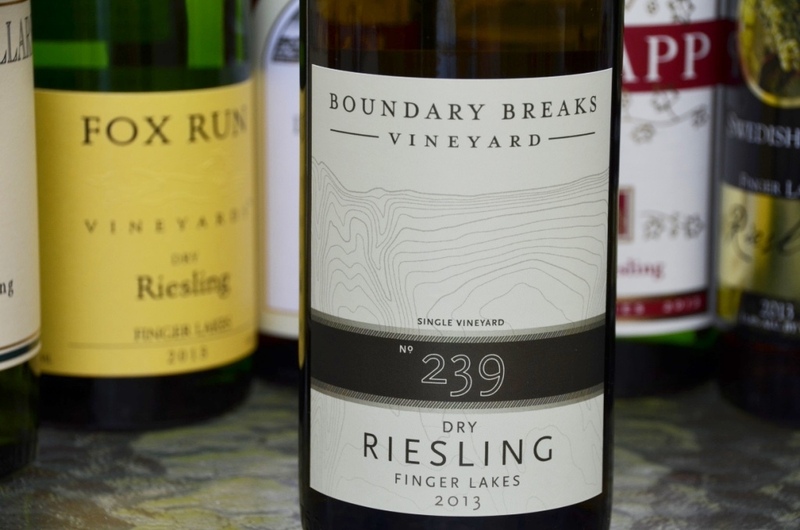 Last week, a group of enthusiastic oenophiles had a chance to dive deeply into the world of 2013 Finger Lakes Riesling, by tasting through the 8 different wines and sharing the excitement with each other. And the wines were definitely very exciting, full of pleasure in every sip. Finger Lakes region in New York deserves all of your attention – but I already shared my thought about the region at length in the two earlier posts this year, so I will have to refer you to those (first Finger Lakes #winechat and the post about Bellangelo wines). Here we go – 8 great wines, and the region for you waiting to be discovered. 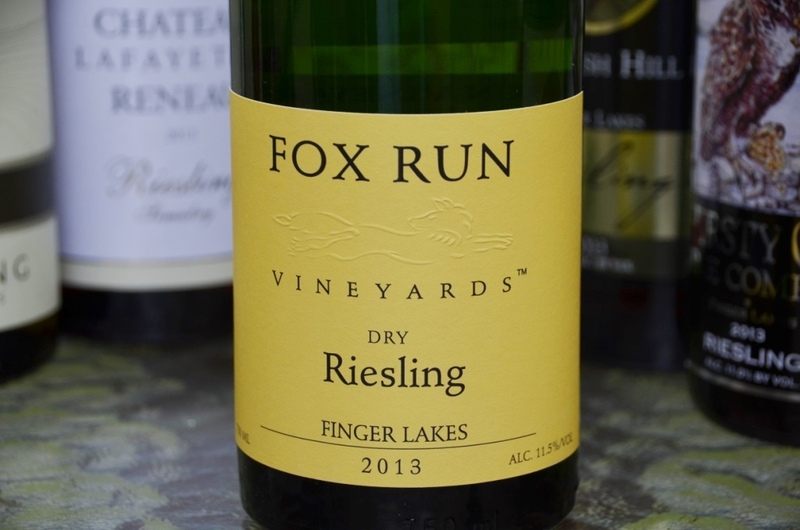 September is still on, and it is an official Finger Lakes Riesling month – make an effort to find your new love – a versatile ( and affordable!) wine which you can drink now or put away to enjoy in a few years (or 10 or 20, this is entirely up to you). Cheers! It is still summer, so let’s start with super-quaffable Prosecco. It is not even Prosecco, it is pretty much a complete cocktail in the bottle. The wine is made by Mionetto, a well known Prosecco producer in Valdobbiadene region in Italy. Now, a couple of value wines for your consideration. These wines come from Chile under the brand name of the Beach Kite. While you can’t find this information on the wine label, Beach Kite is presumable affiliated with 90+ Cellars. 90+ Cellars has a similar model of operation to Hughes Wines and Oriel (at least the two that I’m familiar with), which is: find good wines which well-known wineries have a hard time selling, bottle under your own private label, and sell for the reasonable price at around $20. Beach Kite seems to be more of a “second label” to the 90+ Cellars wines, considering the price of $7.99 per bottle. But – don’t judge the wine by its price. Next I want to talk about few wines, sorted by the grape. While this is not how I rate the wines, but I would say that I had two Rieslings which were outstanding, and one which was … just spectacular. To be honest, I don’t drink Gewurztraminer all that often. I find a lot of Gewurztraminer wines to be all over the place in terms of taste – many of them have wonderful nose, but then on the palate the wine often doesn’t appear to be “together”, it shows up quite disjointed. But – not this wine. 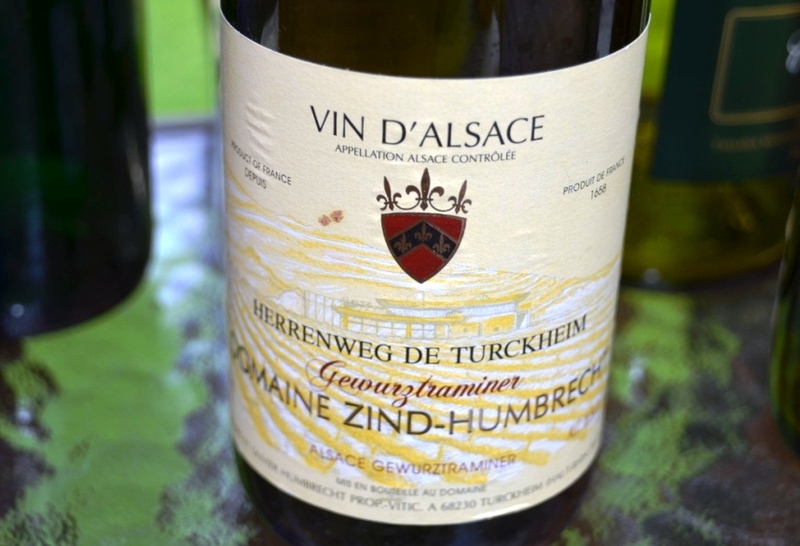 Domain Zind-Humbrecht is one of the best producers in Alsace, probably best known for its Pinot Gris wines. Just to put things in perspective, 36 wines of Domain Zind-Humbrecht have classic ratings from Wine Spectator (95-100), including perfect score 100 point 2001 Pinot Gris. Well, this is not the wine I’m talking about here. You know what – I think this is enough for one post. Let’s stop here. In the next post – Chardonnay, Cabernet Franc, Pinot Noir and may be something else. Wednesday’s Meritage – Wine Quiz Answer, Transportation Challenge Round Up, Cabernet Day, Can We Resurrect #WBW? Let’s start with the answers for the wine quiz #64, Grape Trivia – Riesling. In that quiz, you were supposed to answer 5 questions regarding Riesling grape. 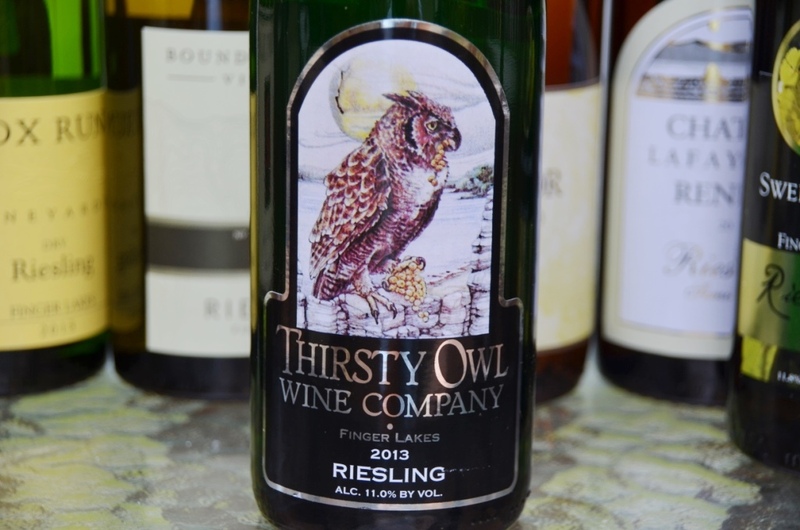 Q1: Riesling is a very popular grape in US and Canada, growing in many regions. Considering the plantings of the Riesling in the regions, can you sort the list below from the biggest area plantings to the smallest? Q2: Have you heard the term “noble rot”, which is often associated with certain types of Riesling? Can you explain what this term means and to which Riesling wines it is typically applicable (at least in Germany)? A2: Noble Rot is actually a grape fungus, officially called Botrytis Cinerea, which affects a number of different grapes and leads to subsequent shriveling (drying) of the grapes while on the vine. This drying of the grapes tremendously concentrates sugars, which allows for the grapes to be used in production of the sweetest of all Rieslings – Trockenberenauslese. Q3: Riesling is known for sometimes developing a specific aroma which has typically nothing to do with the wine – but it is not a fault. Do you know what aroma is that? A3: Petrol. Believe it or not, but many Riesling wines (in some rare cases, even Riesling wines outside of Germany) can develop this petrol aroma. It is usually perceived only on the nose, and it doesn’t give you a feeling of being at the gas station – it is just a light hint, but when it is present, you can safely guess your wine being Riesling even in the blind tasting. Q4: Name one major(!) wine producing country which doesn’t produce any Riesling wines. A4: Spain. Spain is a home to the plenty of wonderful white grapes – but it doesn’t produce any Rieslings at all. 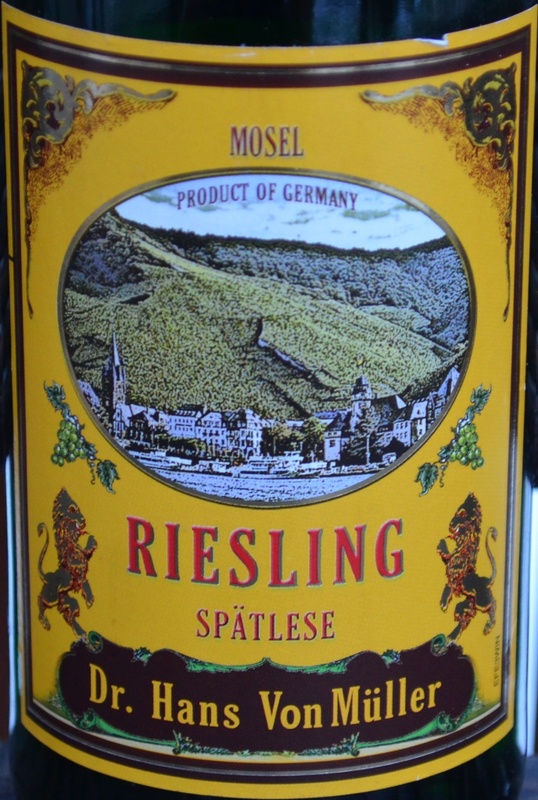 Q5: If you look at the bottle of German Riesling, you will typically see the word such as Kabinett or Spatlese written on the label. Such words typically indicate the level of sweetness you should expect from wine – even though this is not a precise definition, as these words only indicate sugar amount in the freshly pressed grape juice – the level of sugar in the resulting wine can be quite different depending on the way the fermentation is done. Can you sort the following list of these key indicators from the lowest sugar content to the highest? A5:The correct line up is Kabinett, Spatlese, Auslese, Berenauslese/Eiswein, Trockenberenauslese (if you need full level of details, you can always go to Wikipedia). It seems that the first question proved to be most challenging of all, as nobody was able to provide the right answer – as the result, we don’t have a winner this week. At the same time, The Wine Getter and Foxress both get an honorable mention with 4 correct answers out of 5. Now, to the interesting stuff around the vine and web! First of all, I want to bring to your attention a roundup of a Monthly Wine Blogging Challenge started by Jeff (a.k.a. The Drunken Cyclist). About a month or so ago, Jeff announced a wine blogging challenge based on the theme, similar to the challenges which are popular among photography bloggers. The first theme was Transportation, and the idea was to write the wine blog post which would relate to the designated theme. 10 wine bloggers participated in this challenge, and you can find links to all the blogs posts in this round up. I think this is a great idea and I hope more wine bloggers will participate next time. Who remembers the Wine Blogging Wednesdays (#WBW)? Similar to the challenge I mentioned above, the WBW events had a theme, which in the most cases was a grape, a type of wine or a wine region, and they also had a host. The host was typically the one who suggested the original theme, and also it was the host’s job to provide a roundup of all the submitted blog posts. These #WBW events had a very good run of almost 8 years, and there was a dedicated web site which is still somewhat accessible. I think it might be cool to bring the #WBW events back – in case you experienced any of them, feel free to comment – do you think Wine Blogging Wednesday events should be resurrected? Last but not least – the Cabernet Day is coming! Well, not tomorrow – but August 29th is the day. And you know how it works – the summer will be over in a blink, so it is never to early to prepare for celebration of such a noble grape as Cabernet. Here is the link to the invitation I received for the this Cabernet Day – join the festivities! That’s all I have for you for today, folks. The glass is is empty – but more Meritage is coming. Cheers! And the moment you’ve being waiting for is here – as promised, we are switching to the white grapes! For the next 10 or so quizzes, we will be talking about white grapes. And we are starting with nothing less than the Riesling! 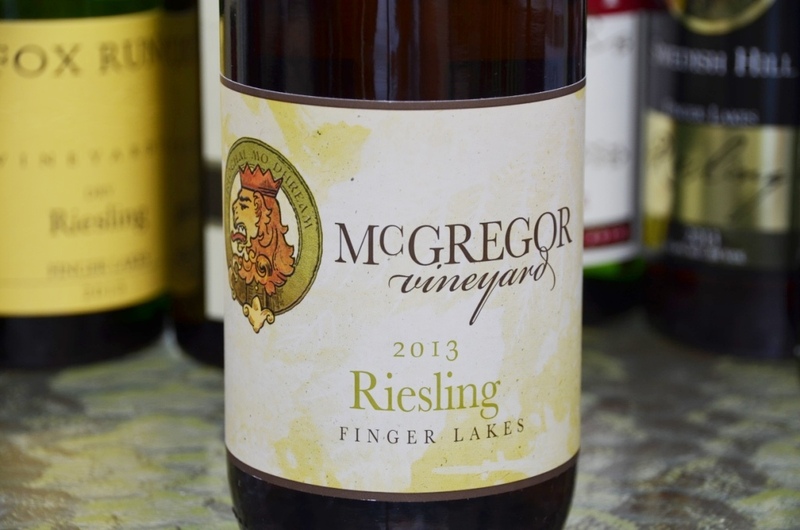 Riesling is one of the major white grapes (that “major” list typically includes Riesling, Sauvignon Blanc and Chardonnay) with long and somewhat turbulent history. The first official mentions of Riesling appear 1400s in Germany and then Alsace. 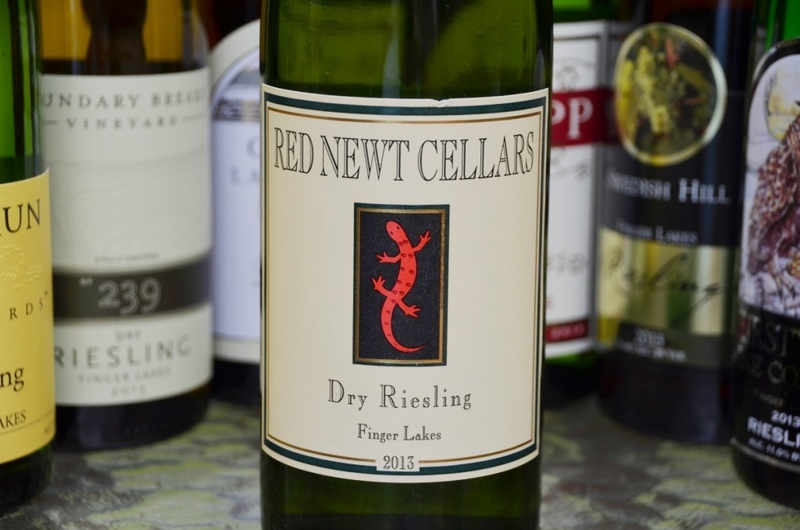 From there, Riesling had been growing in popularity for the long time, about 100-120 years ago even surpassing red Bordeaux wines both in price and demand. Unfortunately, with prolonged wars and also subsequent Germany’s focus on quantity instead of quality in the middle of 20th century, Riesling lost its leadership position and currently is engaged in the uphill battle to regain its old popularity. Overall, Riesling is considered to be very terroir-driven (similar to Pinot Noir), which you can easily see just by trying, for instance, German, Australian and Alsatian Rieslings side by side – you might perceive them as completely unrelated wines. Substantial acidity makes Riesling very food friendly (it is one of the most versatile white wines) and also allows it to age for a very long time – even 100 years would not be unheard of. Riesling is quite popular world-wide, growing in pretty much all major wine producing countries and slowly but steadily increasing both in terms of production and acreage. Let’s get to our quiz, shall we? Good luck, enjoy and have a great weekend! Cheers! During 2011 I wrote a number of posts for the project called The Art Of Life Magazine – of course talking about my favorite subject, wine. The project closed and even web site is down, but as I still like the posts I wrote, I decided to re-post them in this blog. Also, in that project, posts were grouped into mini-series, such as “Affordable Luxuries” you see here – I will continue re-posting them from time to time. Also note that the series was written for a slightly different audience – I hope none of my readers will take offense in the fact that sometimes I’m stating the obvious. Ahh, and I think this post is very appropriate today, as we celebrate Valentine’s Day – Happy Valentine’s Day to all! We are continuing our “affordable luxuries” series. In the previous posts we were comparing Hermitage and Crozes-Hermitage wines, as well as Grenache and Garnacha. Today we will talk about sweet wines. First, let’s make sure we are all on the same page. We will be talking about real wines, made out of grapes, with soul and heart – this excludes white zinfandel, as well as blueberry, peach and coconut concoctions from further consideration. Second, I deliberately avoid using the word “dessert” wines, as that creates and expectations that we will be talking about wines which should be served only after a meal – where sweet wines are just the wines which have a lot of sweetness in the taste – but they are balanced and interesting enough to be actually served at any time during the meal or by themselves. I remember how Kevin Zraly, famous American wine educator, described his dining experience in Sauternes, area in France making some of the best in the world sweet wines: while he was expecting Sauternes to be served only with desserts, quite on contrary, they were served as aperitif, with an appetizer and entrée course, and then, of course, with dessert. If you look at the sweet wines in general, you will find wide variety of styles, with differences a lot more pronounced than, for instance, between classic Burgundy and fruit forward California Zinfandel. It would make it a fun project to classify the sweet wines of the world (hmmm, note to self), however, it would never fit in the format of the entertaining blog post, so let’s defer this for some other time, and let’s just lay down some basic facts. Essentially, sweet wines can be made from absolutely any grape used in the wine making. There are some grape varieties, like Muscat, which are known to develop very high sugar levels and thus used more often in production of the sweet wines. Nevertheless, grapes are always harvested when they contain enough sugar to be made into the wine of particular style, whether it is Rioja, or Burgundy, or California Cabernet Sauvignon or anything else. Once grapes are harvested, they undergo a process of fermentation – that’s when sugars are converted by the yeast into the alcohol. What makes wine to taste sweet is the amount of sugar left in the wine after fermentation is complete (it is called “residual sugar”). So in a very simplistic way, when we make sweet wine, we want grapes to have as much sugar as possible – which can be achieved by late harvesting the grapes, or by drying grapes under the sun, almost making them into raisins before the fermentation (this process is called passito), or by letting grapes to shrivel on the vine as the result of noble rot, or by letting grapes freeze on the vine and then making wine out of the frozen grapes. Whew, so much information in a single sentence! If you want to actually learn more about the same in a slow down form, take a look at the Wikipedia article on the sweet wines. In order to retain sugar in the wine, we need to stop fermentation before all the sugar is converted into alcohol. There are two ways to do so. One is by adding pure alcohol, which kills all the leftover yeast and therefore fermentation stops. This is how Port wines are made, for instance. Another way to stop fermentation is by lowering the temperature of the liquid, which will technically achieve the same result as adding the alcohol (yeast stops converting sugars into alcohol), and then filtering the yeast out. This is how Riesling wines are made, for instance. There will be of course a difference in the amount of alcohol in the resulting wines – Ports typically have 19%, and Rieslings typically are ranging from 7% to 12%. Now, after all this technical details, we are supposed to be talking about affordable luxuries, right? We learn to like (and crave) sugar from the moment we are born, so it is very easy to like sweet wines. But – it is not maple syrup we are talking about – it is a wine after all. The idea of a great wine is that it gives us pleasure – and pleasure of wine is dependent on the balance, whatever the balance would mean to you. Therefore, sweet wines are not been an exception at all – we want them to be balanced, same as any other wine we enjoy drinking. You want the balance of sweetness, acidity, fruit, minerality and alcohol – in other words, you want sweet wines to have sense of place and being well made. Same as for any other wines, you will find sweet wines at full range of prices. Legendary Chateau d’Yquem from Sauternes will get you anywhere from $600 to $2000 per bottle, depending on the year and availability. At the same time, you can enjoy Haut Charmes Sauternes (Number 12 on my 2010 Top Dozen wines list) for $17. You can find Ruby Port for about $10 ( not necessarily very enjoyable), going to Rozes over 40 years old Port for about $100 (amazing, Number 2 on my 2010 Top Dozen) and then to the Taylor Fladgate Scion 155 years old (dream) at $3000 per bottle – if you can find it, of course. 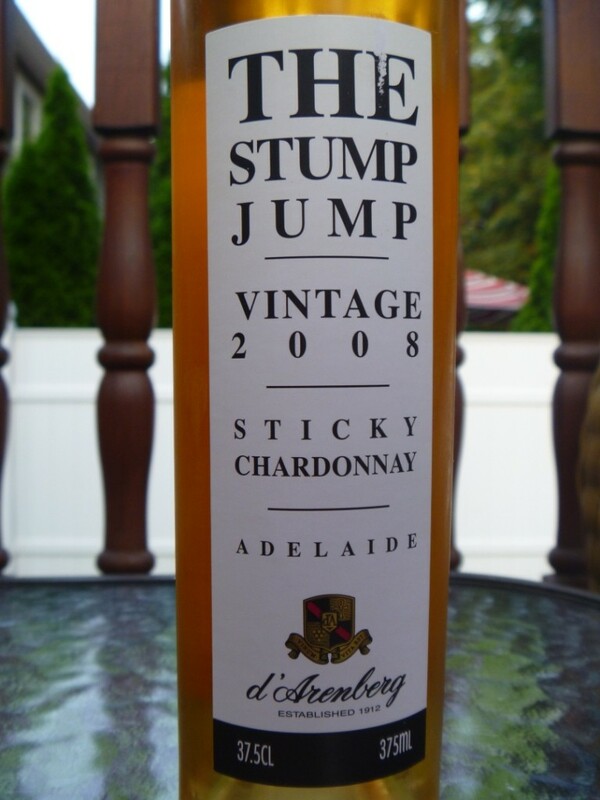 So for this post, let’s compare 2008 d’Arenberg Stump Jump Sticky Chardonnay from Australia (about $10 for 375 ml bottle) with 2006 Dr. 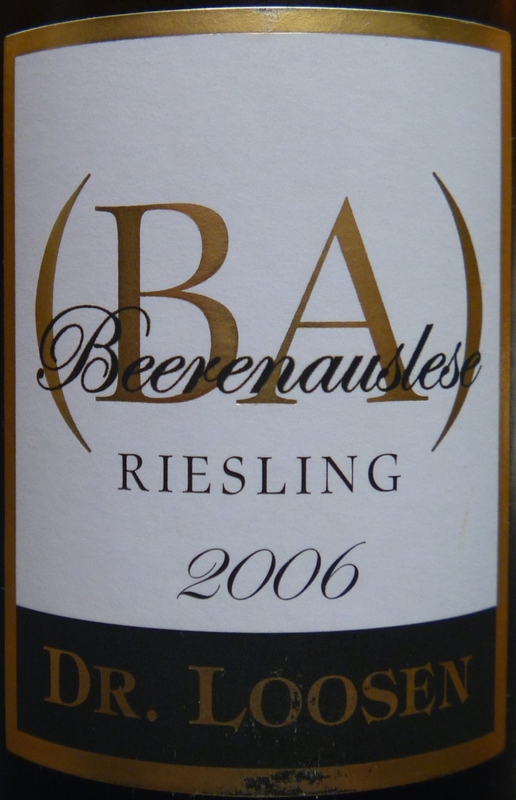 Loosen Riesling BA ($20 for 187 ml bottle, so it is 4 times more expensive). This sticky Chardonnay is a very nice wine, showing lots of peach, ripe apple and honey notes on the palate, with good acidity. 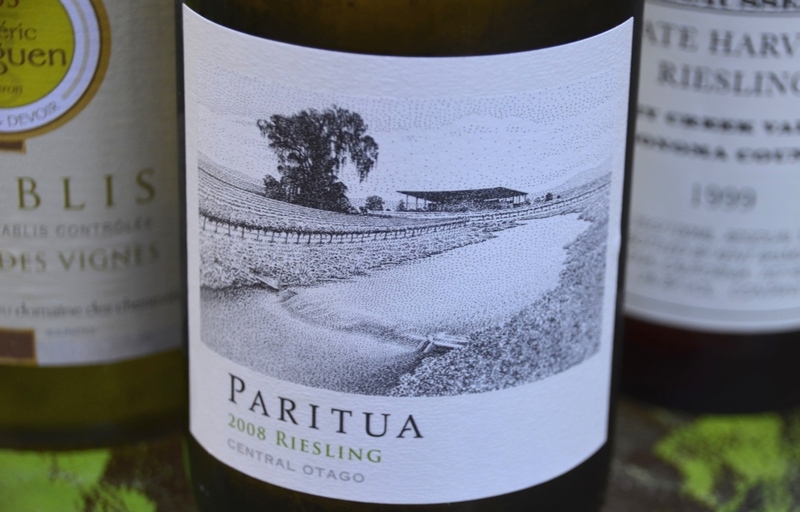 When you try this wine by itself, the perception is “very good” – you just need to forgive some rough edges, a little sharpness on the palate. So one would be technically quite happy with this Dessert wine – at least until he or she will have a chance to try the Dr. Loosen Beerenauslese Riesling. 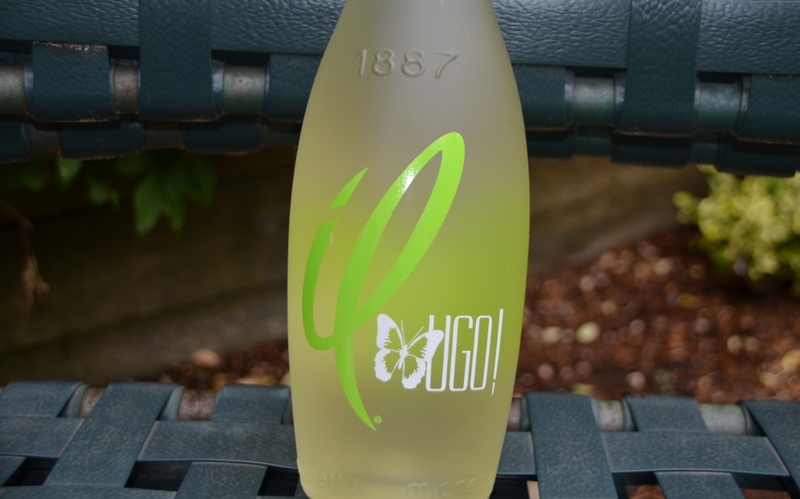 Light and beautiful, effervescent, with exposed minerality, smooth and balanced, with clean acidity and light sweetness. Very easy to drink and without any heavy aftertaste (as some sweet white wines can do). While d’Arenberg Sticky Chardonnay is quite drinkable, Dr. Loosen Riesling is definitely few notches above in terms of delivering pleasure. Well, it is time to conclude. I hope you got a few ideas to explore – and don’t be afraid to experiment and look for your own personal wine pleasures – the reward is well worth it. Cheers!